Life of a varsity student. Sports. Home. Study. Sleep. Their lives revolve around those few things. Strenuous to say the least. Some would say a death-defying stunt – to exaggerate it to its extremes. These athletes are pushed to their limits to keep up with their homework while being physically and – many a time – mentally exhausted. Practicing five days a week coupled with games interspersed in between for a period of three months, this is how the season system in ISKL works. Would anybody call this a winning strategy on any front? How do these athletes do it? Do they do it? So many questions. So little time. 365 days never seem to be enough. Cameron, ‘17, and Kashan, ‘17, are senior athletes this year and students taking the IB diploma nonetheless. One thing both of them have in common is that they love to play sports. If their words were not testament enough of their passion, their invigorated demeanours surely conveyed it clearly. Nobody can deny that their passion infringes on their studies many a time. Kashan is one of the more involved players in the football team. Being a senior and a starting team member as well as a returning one, he seems to be a role model among the many new footballers in the team this season. Although this determination is nothing less than admirable, this single-minded focus could veer the intrepid Kashan away from the responsibilities of a student. “I don’t get much done.” He sometimes has to skip out on everyday obligations such as the simple one of doing homework to commit to his passion of football. Not only that, he has to miss other activities any other normal teenager has the privilege of enjoying like socializing or doing community service. What alternative is there then to this strenuous season system? Is this claim true then? Does it make you better on all fronts? 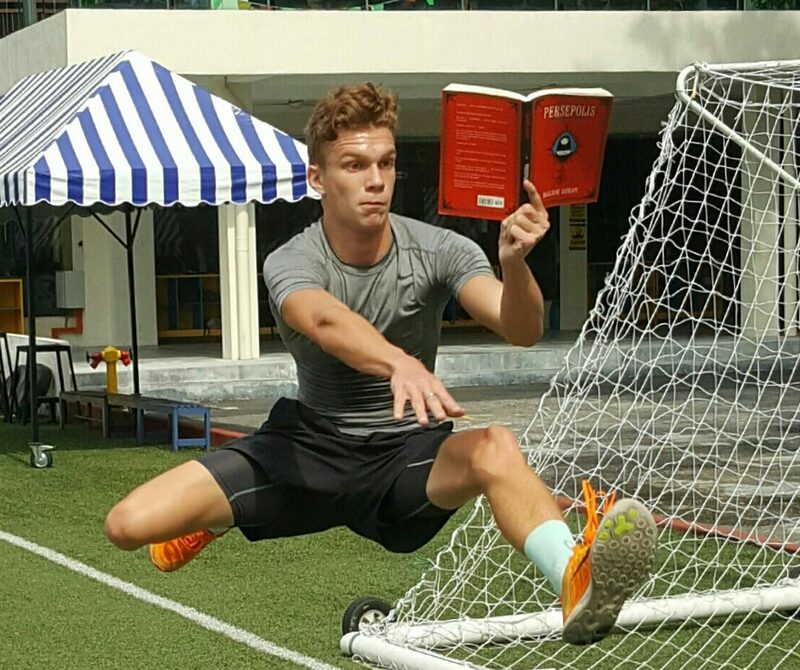 Cameron is one of the candidates that has received the fictional award in ISKL for most-dedicated athlete. Albeit, he is searching for a sports scholarship to the US. He practices at least four days a week to cultivate his already present talent at the hurdles, seemingly falling in line with the fact that IASAS Track and Field is four months away. In contrast to this, ISKL’s athletics director, Mr. Brawn thinks that the season system is not as counterproductive as the students imply. Derivative of North American schools, the season system has been implemented everywhere in college and even in professional settings. He believes, “it benefits sports development. The kids aren’t pulled in a bunch of different directions.” In the ever-growing culture of student involvement, the season system rewards today’s teenagers with a dense focus on their admirable passion allowing them to grow as people instead of being bogged down by their thinly spread energy that many of them prefer to undertake. Although Mr Brawn admits that “some kids do well with it and some kids struggle with it,” However he states that the “benefits do outweigh the downsides.” There is this consensus then that some of the kids have to be taught how to manage their time better as well as not overstretch themselves. The season system has its faults. The season system has its upsides. In this culture of change, everybody must learn how to take the best of both worlds and this is what many ISKL coaches are doing now. As such, an amalgam of these two ideas can be formed to create a productive and enjoyable time for our athletes. Although, in keeping with the theme of this, only one person can decide for themselves whether they like the season system or not. Do you like the season system?